Cypress is a pretty community about 30 miles northwest of downtown Houston, away from the hustle and bustle. It was the first time I checked out a few of the local thrift stores, and of course, my kids indulged me by coming along. 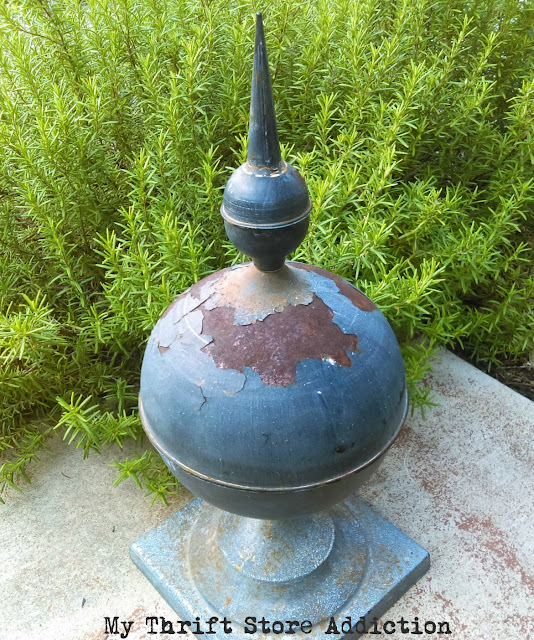 This resale market had everything from clothes to a warehouse of furniture out back, where I picked up this awesome garden ornament. It looks as if someone crafted it from repurposed parts. It's quite sturdy--heavy, too--and was only $4!. 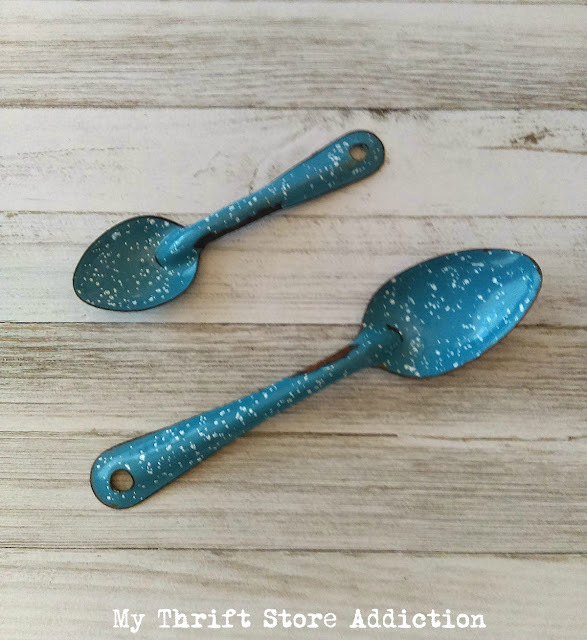 I picked up these little enamel spatterware spoons there, too for $1. 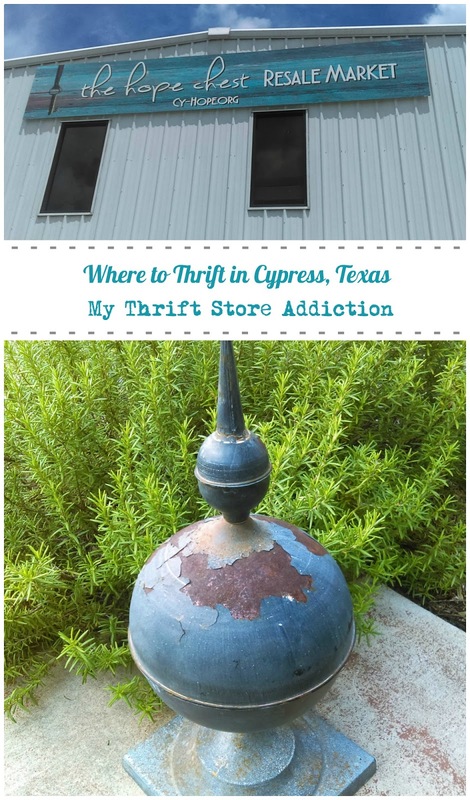 We also went to the Goodwill, but it was tax-free weekend and it was insanely crowded, so we made it a quick stop. 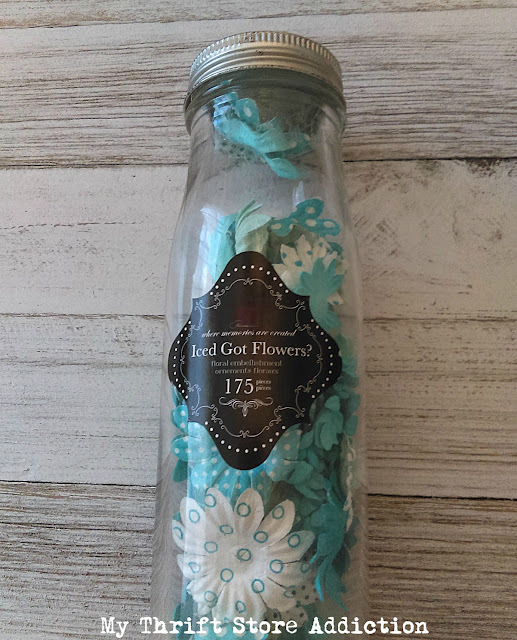 I did find these sweet craft flowers, though. The Royal Standard isn't a thrift store, but a shop that had a tent at last year's Texas Antiques Week in Round Top. They didn't have the extreme bargains they bring to the show, but it was a really fun place to shop. 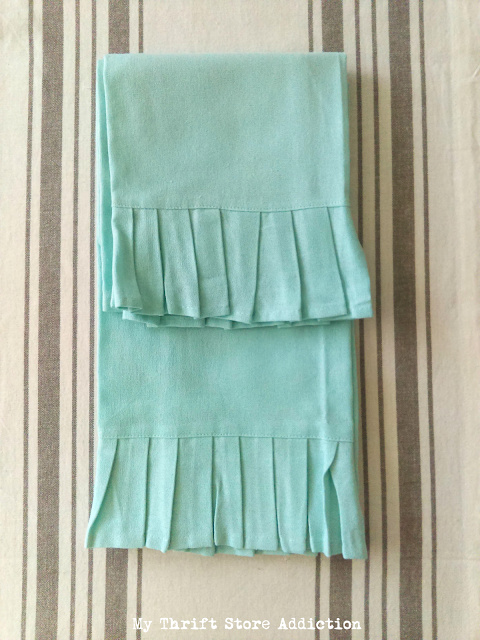 I splurged on this grain sack stripe runner and these lovely ruffled tea towels. 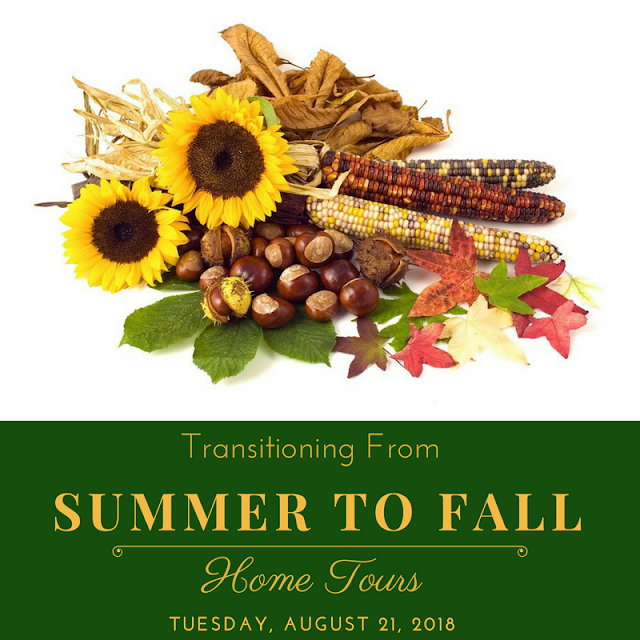 ...and to visit the Transitioning from Summer to Fall Home Tours! Maybe you live in a warm climate like I do where the summer temperatures aren't going anywhere soon. I'll be sharing some simple accents that gently transition from the late summer months to fall--even if the weather isn't cooperating! Plus, there are over twenty bloggers on the tour, so it's the perfect time to get inspiration in advance of the season. Love your found treasures!!! 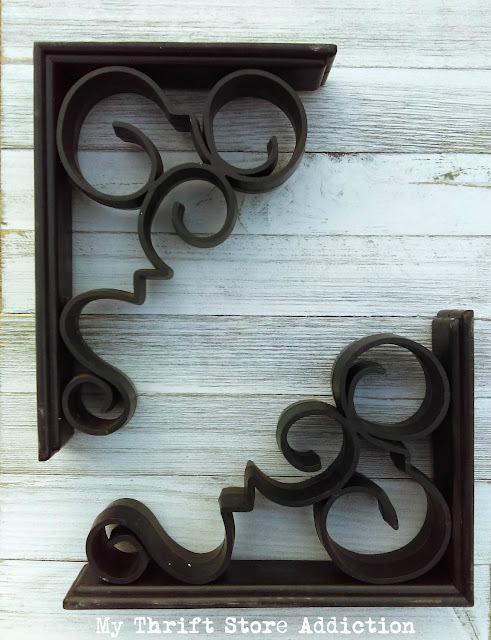 Can’t wait to see how you upcycle those darling corbels!!! Love that garden ornament. 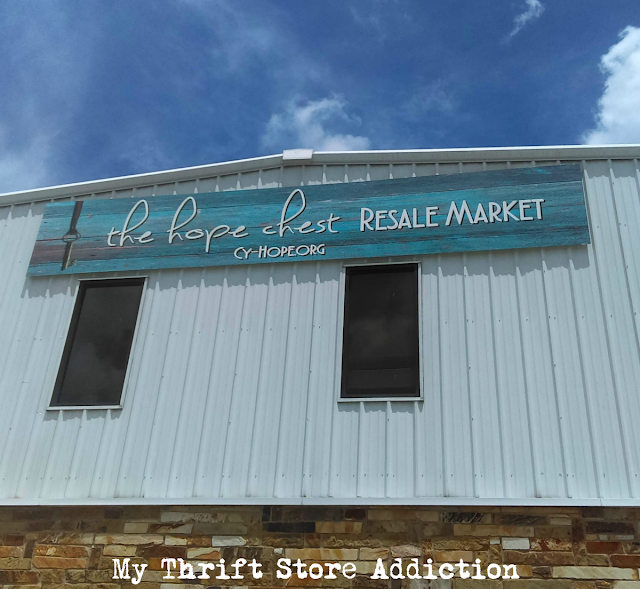 I love thrift shopping in new towns! Haha...love the Iced Got Flowers? Adorable! Somehow I think some of those aqua flowers will show up in your household. I love them for card making (and trimming 18" doll hats!). I think your tea towels will look great on your oven door! Your treasures were awesome! I would have grabbed that ornament too! I love stuff like that for my garden. What a bargain!